Standalone digital cameras have gone through a weird transition phase over the past couple of decades. Their future looked bright as DSLRs afforded professional-grade results at reasonable prices but their forecast turned ugly when the smartphone craze hit. Now that most people have a “good enough” camera with them at all times, the market for standalone cameras – even ones that are far superior in quality compared to what even the best cell phones offer – has fallen off significantly. Fortunately for photography buffs, there are companies like Panasonic that refuse to go quietly into the night. 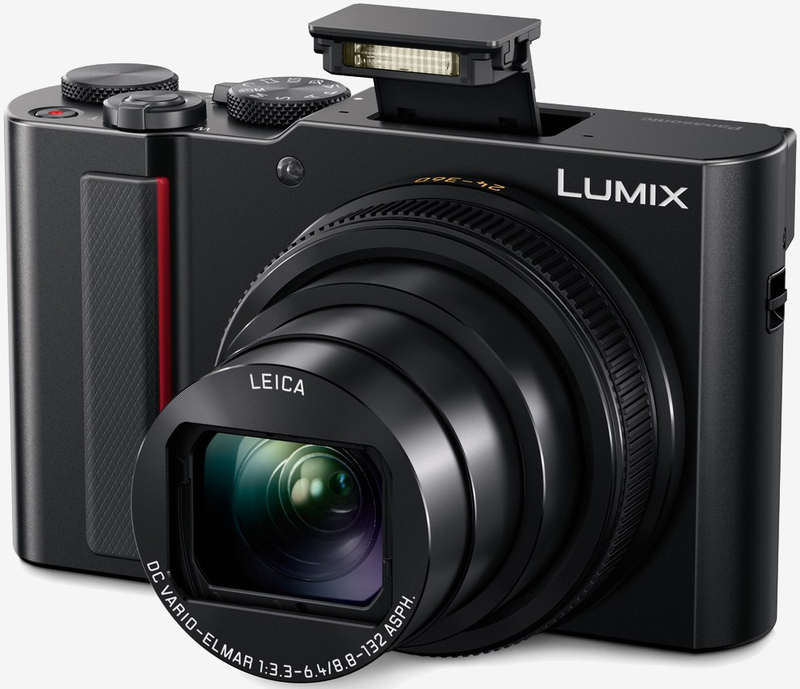 Panasonic, which more or less invented the travel zoom camera genre (small cameras with fixed lenses featuring big zooms), has unveiled its latest offering, the Lumix ZS200. A direct follow-up to the Lumix ZS100, the new ZS200 ups the ante by adding a 15x zoom (the ZS100 had a 10x zoom), Bluetooth, improved battery life and a higher-resolution LCD and viewfinder. It’s all capped off by a 20.1-megapixel one-inch sensor, a carryover from its predecessor. The 15x zoom lens features 13 elements in 11 groups and is equivalent to 24-360mm on a 35mm camera. Aperture is set at f/3.3 – f/6.4 which isn’t quite as good as the f/2.5 – f/5.9 found on the ZS100. The ZS200 does, however, offer an updated processor that expands the ISO range to 12,800 and bumps the burst speed up to six frames per second in continuous autofocus mode or 10 fps in single-shot. Elsewhere, you’ll find Panasonic’s five-axis Hybrid Optical Image Stabilization system which works across all photo and video resolutions (save for 4K). The Panasonic ZS200 launches on March 20 in your choice of black or graphite silver finishes priced at $799.